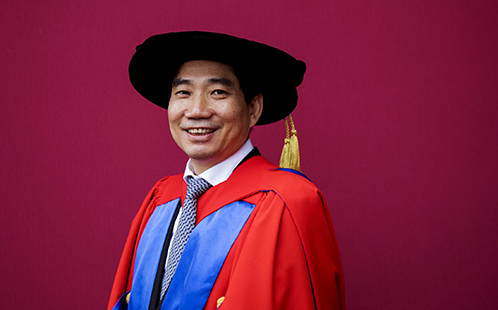 Eminent molecular biologist and immunologist, Professor Anlong Xu, President of the Beijing University of Chinese Medicine (BUCM), has received an Honorary Doctorate of Letters from Western Sydney University as part of its September graduation ceremonies. The honorary award recognises Professor Anlong Xu’s outstanding research, particularly in the use of functional genomics to understand vertebrate immune systems, which led to the discovery of the active RAG transposon, published in the research journal, Cell in 2016. Furthermore, Professor Xu has significantly contributed to the growth of Chinese medicine internationally, through initiating and establishing Chinese Medicine Centres in Australia, the United States, Russia, Germany, Spain and Japan. His tireless work led to the establishment of a joint Chinese Medicine Centre in Sydney - a collaborative partnership between Western Sydney University’s NICM Health Research Institute and BUCM. The Memorandum of Understanding for the Centre was jointly witnessed by Chinese President, His Excellency Xi Jinping and the then Australian Prime Minister, the Hon Tony Abbott MP in 2014. 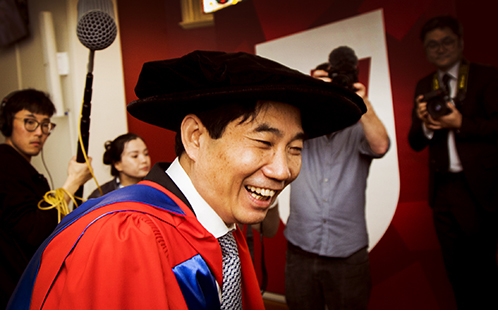 Professor Xu has been a key partner in establishing strong relationships with Western Sydney University through fostering a range of student exchange programs in China. In April 2017, the first cohort of the University’s Master of Chinese Medicine students undertook a month-long clinical placement at Dongzhimen Hospital, which is affiliated with BUCM.